It was a sunny Tuesday morning, and I had just sat down to eat a bowl of Rice Krispies with peaches. I was starting a new job in a few days and was savoring the last of my leisurely mornings as I turned on the news to catch up with the daily events. The channel that was on showed a puzzled Katie Couric saying, “A plane accident has occurred at the Twin Towers.” As the camera panned to a live view, another plane appeared out of nowhere and crashed into the second Tower. I watched in shocked horror, as did Katie, trying to make sense out of what had just happened. She looked as amazed as I felt, not quite sure what to make of it. My daughter called from college in tears. I worried about my younger daughter attending high school. Was everyone safe? I switched around to other stations to see if this were real, and a little while later settled on Peter Jennings. For the next 10 to 12 hours I sat glued to my set, watching in sheer disbelief – wanting to walk away but paralyzed in front of the TV – frozen in horror. And there was Peter Jennings, reporting up to the minute details and trying to give us some kind of reassurance as we slowly realized nothing would ever be the same. I remember seeing the hundreds of rescue workers and ambulances lined up, ready to take people to the hospital. Waiting and waiting in eerie silence, not yet understanding there would be few survivors from those buildings. The magnitude of the loss of life was still unrealized. I stayed with Mr. Jennings for most of the day, trusting his expertise and insight. Way after 11 p.m. he was still there, sleeves rolled up, tie off now, looking haggard and drained but still telling us the details we needed to know. He was soothing and reassuring, trying to keep a nation calm in the midst of hysteria. When Mr. Jennings passed away a while later, my heart ached as thoughts of 911 came flooding back, along with the question of whom we could count on to see us through the next catastrophe. 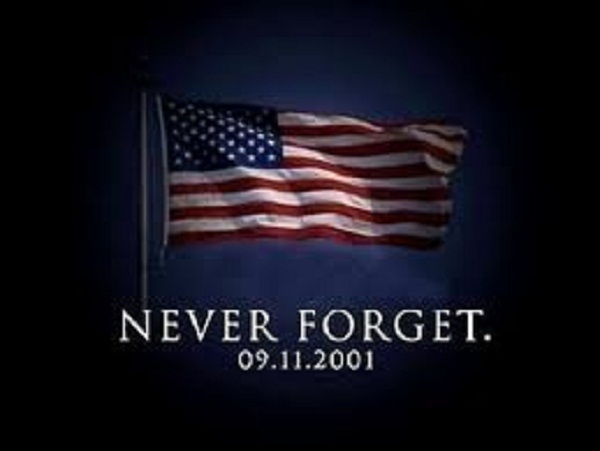 My thoughts and prayers are with those who have lost loved ones in the horrible 911 tragedy. My heart aches for their loss. Watching the roll call this morning brought tears to my eyes once more. I’ve been thinking about all that has transpired since then, and the word “trust” came to mind. I realize that in this ever-changing world in which we live, filled with so much uncertainty, the only One we can really trust to see us through is God. Where were you on 911?